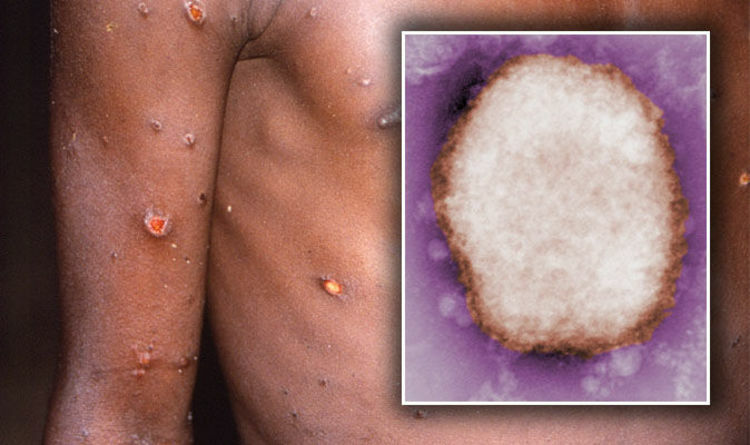 The monkeypox virus has been diagnosed twice in the UK within four days, Public Health England (PHE) has confirmed. The disease, which is a viral infection, was first spotted in Cornwall on Saturday (September 8). A Nigerian resident was staying at a naval base in Cornwall, before being transferred to London. On Tuesday (September 11), a second confirmed case was revealed in Blackpool. The patient, who had visited Nigeria, was transferred to a hospital in Liverpool. After the virus was diagnosed in the UK for the first time, where in the world are you most likely to become infected with monkeypox? In 2017, human cases of monkeypox were reported in six different African countries. These include the Central African Republic, Democratic Republic of Congo (DRC), Liberia, Nigeria, Sierra Leone, and the Republic of Congo. In November 2017 the World Health Organization (WHO) reported that Nigeria was facing the largest reported outbreak of West African monkeypox. It had 197 suspected cases of monkeypox, and 68 confirmed cases. The viral infection was also reported in wild animals in Cameroon, the Ivory Coast, and the DRC. “During the last five decades the majority of human infections have been reported from DRC where it is a reportable disease and now more than a thousand cases are reported annually,” said the WHO. “Prior to 2000, reports of human monkeypox outside of DRC were sparse—with 21 cases reported from seven countries in West and Central Africa – most reported in the 1970’s and 1980’s. “Human monkeypox is often reported from highly forested areas where the populations are dependent on bushmeat as a protein source. “The hunting and preparation of bushmeat are human risk factors for infection. Monkeypox appears to be becoming more “entrenched” and widespread in areas where it hasn’t been for decades, it added. Early warning signs of a monkeypox infection include fever, intense headaches, back pain, and muscle aches. After a fever develops, patients enter the “skin eruption period” – where rashes appear all over the body, starting with the face. The rash is most likely to appear on the face or the hands and soles of the feet. In most cases, the rash develops into vesicles – small, fluid-filled blisters – or pustules. These could become crusty, and fall off the skin in around 10 days. But, it may take up to three weeks for the complete disappearance of the crusts, the WHO warned.